A​fter many attempts of getting her to settle in for the night, we finally were able to comfort her with a night light and a ‘Psalty’ Singing Songbook tape. What we considered to be small and insignificant, made all the difference. The night light provided just the right amount of illumination in her room so that she could distinguish between shadows and objects, reassuring her she was safe. And Psalty’s singing character provided extra reassurance through scripture, hymns, and storytelling. 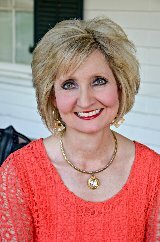 In the midst of her fear, a touch of light and a bible-believing children’s character gave her God’s word to store in her heart. I’m not sure bedtime would have gone very well if we hadn’t had these resources to lead her out of the darkness and into the light. But they did just that. I am reminded of my precious girl and her nighttime shenanigans as I studied the passage in Isaiah where God calls His people to transform their thinking, reorient their worldview, change their behavior, and come into the light. Much of the darkness we encounter in our lives exists in our heads. Just as it had for a little girl fearful of what the darkness would bring at bedtime. It was more about concentrating on the negative aspect, when we should have been concentrating on walking in the light of God’s word. You see the choice is ours. We can continue to go our own self-absorbed way and dwell in the depths of darkness, or we can choose to glorify God and follow His instructions. It is a matter of choosing to remove ourselves from a dark situation and move toward the light. As we navigate our day-to-day situations we can continue to encourage others to stave off darkness as they seek God first, follow His ways, and enjoy His kingdom. And by doing this, we can truly be a light for the world. To save your copy of today's devotional and journaling template, click on the link above and save the file to your computer. The pdf file includes three full size pages - 1 devo, 1 - study questions, 1 - journaling elements. 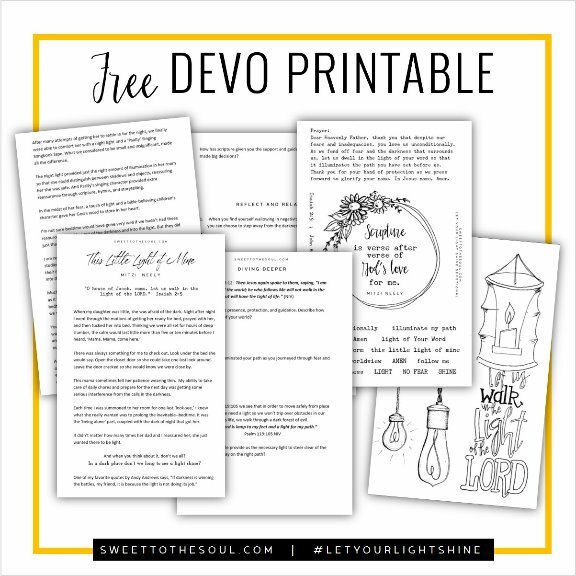 ​For best results, print pages 1 and 2 (devo and questions) on regular printer paper; print page 3 (journaling words and elements) on card stock paper or sticker paper. 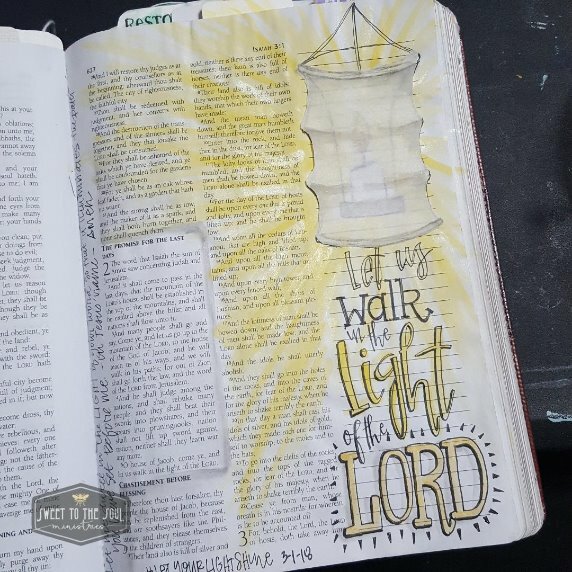 ​To create my entry above, I drew the lantern design in the margin of my journaling Bible. You can do the same, or trace to transfer the full design. Or you can cut out the template and insert as a tip in. ​Then I painted the area around the lantern to look as if light was glowing from the lantern. I love using gelatos when I paint. However, watercolors or thinned acrylics would work as well. ​To give the impression of a real hanging lantern, I traced just the outline of the lantern onto vellum paper and cut out the lantern. I then used my glue stick to add a thin line of glue to the top and bottom edges of the cut out. Then I positioned the vellum lantern cut out directly over the drawn lantern on my page. ​Finally I painted a bit of shadowing on the vellum lantern to mimic the folds which occur in a real paper lantern. ​It was super simple and I love the dimensional look it gives this journaling entry. I hope you enjoyed today's devotional and Soul Inspired Journaling template. 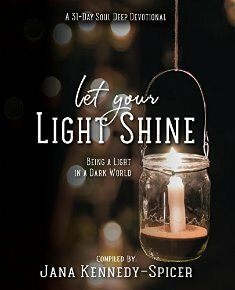 If so, you might like our 250+ page devotional "Let Your Light Shine". It includes 31 devotionals, color pages, a prayer guide, Bible Study tips and more! If you enjoyed this Soul Inspired Bible Journaling template, visit our shoppe on line to see our full line of Bible Journaling and Study resources - Sweet To The Soul Shoppe. Thank you so much for this beautiful devo. I cannot wait to get home and start studying. God Bless! Thanks for the devotional & printable! I'm looking forward to working through the Diving Deeper & Reflect sections tomorrow. Thank you for featuring this devotional as it holds sweet memories for me. My daughter is all grown up now with a little girl of her own, and she too is comforted by the light. I pray for all of us to take God's Word, share it with those around us and be a bright light in this dark world.